The following rules and requirements (the “Official Rules”) govern the Magic Bullet® Facebook Giveaway (the “Contest”). Please read these Official Rules before entering the Contest. By submitting an entry, you acknowledge that you have read, understand and agree to be bound by these Official Rules and the decisions of Capital Brands, LLC (the “Sponsor”) the contest Sponsor. NO PURCHASE NECESSARY. VOID WHERE PROHIBITED BY LAW. A PURCHASE WILL NOT IMPROVE YOUR CHANCES OF WINNING. INTERNET ACCESS, A VALID EMAIL, AND A FACEBOOK ACCOUNT ARE NECESSARY TO ENTER THIS CONTEST. 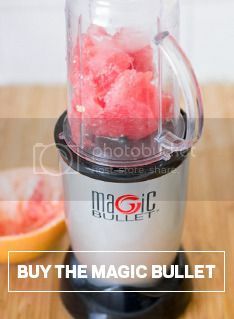 Magic Bullet® Facebook Giveaway: Every day, beginning August 19, 2015 and running through September 2, 2015, between 10am-2pm (PST) there will be a Magic Bullet post on the Facebook page found at https://www.facebook.com/MagicBulletTheOfficialPage. You can enter the contest by following the instructions in the post. The following day by 9am PST, a winner will be announced with a new post on the Magic Bullet Facebook page. The computer clock of Facebook is the official time-keeping device in the Contest. The winner will receive a Magic Bullet unit and a year’s supply of Superfood Energy Boost (12 bags). The daily prize is valued at $279.87. (c) You must have a valid Facebook account to be eligible. Go to https://www.facebook.com/MagicBulletTheOfficialPage during the hours of 10:00am and 2:00pm PST between August 19, 2015 and September 2, 2015 and the daily Magic Bullet contest post will be posted. You may enter the Contest by following the rules of the specific post. Entry into the Contest is free, all you need to do follow the instructions for the Facebook post each day. There is no Limit to the number of entries you may submit. Submitting more than one entry will not increase your chances of winning. Questions or comments? Please contact Sponsor for any comments, questions or concerns. Sponsor may be reached via Facebook at https://www.facebook.com/MagicBulletTheOfficialPage . (a) All comments shall become the sole and exclusive property of the Sponsor, when submitted, and will not be acknowledged or returned. By submitting your comments you hereby grant Sponsor a worldwide, in perpetuity license to use the comment in any way and via any media in association with the Contest and/or the promotion of the Magic Bullet® product without attribution or compensation to you or your successors or assigns, or any other entity. (b) Comments will not be eligible if they contain illegal, harmful, threatening, abusive, harassing, tortious, defamatory, vulgar, pornographic, offensive, indecent, obscene, libelous, invasive of another’s privacy, hateful, or racially, ethnically or otherwise objectionable as determined by Sponsor in its sole and absolute discretion. All comments must be original and owned by you and may not contain ANY copyrights, trademarks, intellectual property, or other proprietary material that does not belong to you. You may, however, use the Magic Bullet® logo and other artwork from the Magic Bullet® product solely for use in this Contest. Winners’ name and comments may be used on the Magic Bullet website in a gallery of User Generated Content. (c) Proof of Submission: Comments posted are not proof of receipt by Sponsor. Sponsor shall not be responsible for lost, late, incomplete, invalid, unintelligible, illegible, or misdirected comments. Sponsor shall have the right to reject any comment submitted if it does not comply with the guidelines set forth in these Official Rules. If you have any questions about your submission, please contact Sponsor (see link above). (a) At the end of each day of the Contest all entries submitted by eligible Contestants will be randomly selected by the Magic Bullet internal team (“Moderators”) chosen by Sponsor. The Moderators will select one winner a day. The winner will be announced the following day by 9:00 am PST. The winner will be announced in a graphic posted on the Magic Bullet Facebook page. (b) For Winners’ Names: As an alternative to seeing the names of the winners on the Magic Bullet page you may also, after September 15, 2015, send a self-addressed, stamped envelope to: Magic Bullet Facebook Giveaway Contest Winners, Capital Brands, LLC, 11755 Wilshire Blvd, Suite 1200, Los Angeles CA 90025. (a) Daily Winner. There will be one winner a day. The daily winner will receive a Magic Bullet and a one-year’s supply of Superfood Energy Boost (12 bags). The daily prize is valued at $279.97. Each daily winner will be required to sign and return, when requested, an affidavit of eligibility, prize/publicity release and an assignment of rights to their comments. Submissions are subject to validation by the Sponsor. By taking part in this Contest you agree to be bound by these rules and all decisions of the Judges and Sponsor, which are final and binding on all aspects of the Contest. Capital Brands, LLC, 11755 Wilshire Blvd, Suite 1200, Los Angeles CA 90025. Please contact Sponsor for any comments, questions or concerns. Sponsor may be reached via Facebook at https://www.facebook.com/MagicBulletTheOfficialPage .This Contest is in no way sponsored, endorsed, approved, or administered by Facebook, Inc. (“Facebook”).